Trish worked tirelessly to help me find a place that was a great fit. She had a great sense for what I was looking for, helped me refine my search and was never too busy to show me around on short notice. She was prompt in returning messages and never felt out of reach to me. Naturally, I enjoyed working with her and won't hesitate to do so again -Thanks for everything, Trish! Trish Edwards was amazing! I had been looking for the right house for over 8 months, a listing came up (on a Saturday) and she called me immediately. Because I had been looking for so long, I didn't have updated financing letters; she contacted a financing specialist, helped with negotiation and we put a bid in (within 2 hours of the listing going live). The house had three other bids, but we got the house because of her excellent negotiation skills. My parents owned a real estate company, so I'm familiar with the business - Trish did an incredible job! Trish Edwards helped my sister buy her first house, and it was a great experience. So I knew when I was ready to buy my first house, Trish was my first choice for an agent. I really appreciated how knowledgeable Trish is about the area. We went to a dozen or so showings, and she was able to work around my schedule. She made the whole process effortless. Trish Edwards is hard working, thorough and dedicated to her client. She was attentive every step of the process and I couldn't ask for a better Realtor. She was patient during the search and determined to help me find the right house for me. She assisted in the inspection process, helped with setting up the repairs needed and through closing. She continues to follow up and check in far after the closing. I highly recommend. We have worked with Trish Edwards in buying and in selling our homes. Trish has extensive and invaluable knowledge of the local area markets, adding valuable insight and experience to our home search. On the selling side Trish helped us strategically price and market our home, resulting in a quick sale of our property and a smooth closing process. You will enjoy working with Trish - I highly recommend her. Trish went the extra mile in arranging showings for us, and in advising us about pricing and the sales process. She was especially helpful when we reached the point of offering to buy some personal property of the seller. I would highly recommend her. Looked for many lake homes with Trish Edwards. We finally found one that was perfect for our family. It was a pleasure working with Trish. She is very professional and made the process very smooth. Would definitely like to work with her again. Trish Edwards was FANTASTIC through every step of purchasing a home and also helping me to sell. She always me feel at ease and confident in my decisions. I learned so much from her, and I actually enjoyed the whole process! Trish took the time to understand our exact needs and helped us find the perfect home. We were looking for a lake property and she showed us a number of different areas until we found the perfect location. She is extremely professional and responsive. At close she handled all of the details to make the transaction as smooth as possible. I highly recommend Trish Edwards. Trish Edwards assisted my sisters and me with the sale of our mother's home. We don't live in Ann Arbor anymore so her recommendations when preparing the house to list were very helpful. Trish took the time to get to know us and our objectives, her knowledge of the market was excellent, and any questions we had were answered quickly. When we moved to Ann Arbor, we knew very little about the city or neighborhoods. As new home buyers, we new even less about buying a house. Trish did a great job of listening to what we were looking for and finding great houses for us to see. Based on our likes and dislikes, she was able to narrow the field and recommend houses that really fit us. When we found "the one", she made purchasing process very straightforward. When the time comes to buy a new home we'd call Trish again in a heartbeat. Trish was hands-down the best real estate agent I have ever had! In touch, listened to me and found this property for me. Great job! My husband and I had an amazing home-buying experience thanks to our realtor, Trish Edwards! She was so attentive and helpful through the whole process but never pushy or impatient. Her experience and knowledge of the area and the business was very clear. We loved that she kept us informed and encouraged our questions. Because of our experience, we have recommended Trish to all of our friends and relatives in the area! She works magic!! I’ve bought two income properties with Trish and it couldn’t have been less stressful. She was always available and made handling all the paperwork very easy for a first timer. All showings were set up smoothly so I could come in from out of town and see all the comparables in a day. She makes everything else easy to manage so you can focus on the real decision and she’s pretty helpful with that as well. 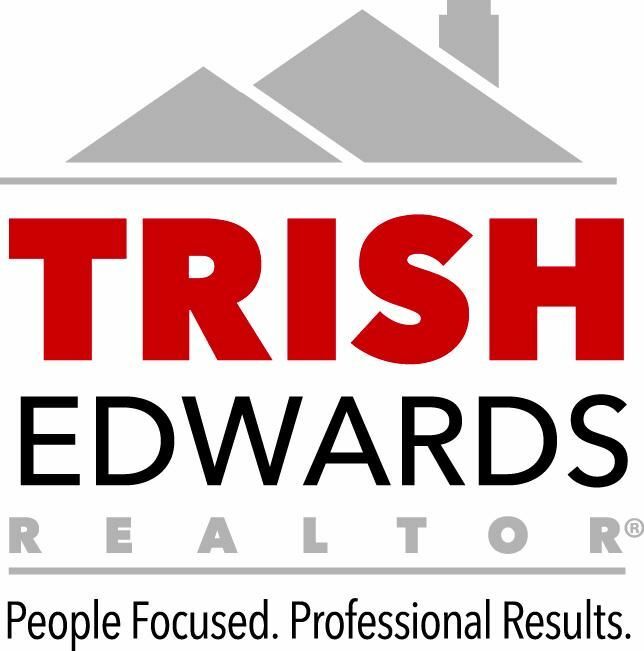 Trish Edwards was easy to work with, very friendly, knowledgeable and a great advisor to me in navigating the overall real estate buying process. As a first-time buyer, I was extremely happy to have her expertise and recommendations regarding mortgage lenders, home inspectors, etc. Her positive personal relationships throughout the Ann Arbor real estate and lending community were a tremendous help. When situations beyond my control threatened the purchase, Trish knew who to call to find a solution that ultimately saved the day. Trish patiently answered all my questions (big and small) and made me feel comfortable. I enjoyed working with Trish and recommend her highly. I was really thankful that you were willing to take on the sale of my home, especially since there was not be a huge return and that there was additional paperwork to complete the transaction. It was great that you were able to look past my leaking basement and help push the buyers to go through with the sale, even though at times it was “shaky.” I also really appreciated how direct you were. I’m really glad that everything has been finalized and that the buyers said they were grateful. Thanks so much again!! I am a passionate and hard-working entrepreneur with deep roots in the Ann Arbor area. Given my strong relationship with this community, and my commitment to professionalism, I am able to provide a unique, personal touch that sets me apart from other real estate brokers in Washtenaw County. My experience in real estate dates back over 20 years, where I provided support in residential sales and developments throughout Ann Arbor. I have raised a family in Ann Arbor, and I have extensive knowledge of Washtenaw County from the perspective of a real estate professional and the mother of two young beautiful girls. As I drive from a hockey game to a horse show to a real estate closing, I am always entrenched in Ann Arbor and the special beauty of its surroundings. In fact, I have lived here my entire life. My education reinforces the strength of my professional resume. In 1991 I obtained my degree from Arizona State University. Years later, I completed the MBA program at Eastern Michigan University. I have stayed up to date regarding developments in real estate law and marketing, adding value to the services I provide. I take these obligations very seriously. Let me make buying and selling your home as comfortable as possible. It is my commitment to handle the negotiations for you, with care and a proven history of expertise, in this important transaction. Real estate is an ever-changing industry and buying and selling homes requires special expertise and a meaningful connection to the surrounding community. I have both. Call me today at 734-368-0094 and let me bring my expertise and passion for the Ann Arbor community into this important transaction. I would be proud to serve you and I look forward to a meaningful relationship as we address and solve your real estate needs.